STOCKHOLM -- China's Geely Automobile, whose parent company owns Volvo Cars, denied a Swedish newspaper report that it is interested in acquiring Saab. Saab is restructuring under creditor protection while it waits for long-term investment from China's Zhejiang Youngman Lotus Automobile and Pangda Automobile Trade Co. A bridge loan of 70 million euros ($93 million) guaranteed by Youngman has yet to come through. 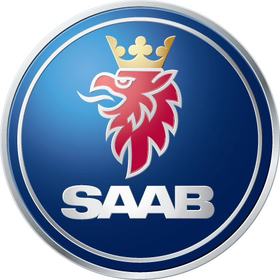 Youngman may want to pull out of its agreement to put money into Saab in the longer term, Dagens Nyheter wrote on Thursday, citing an unnamed source with knowledge of the situation. "But Geely is interested in the whole thing, in terms of production and development," the paper quoted a source as saying. Geely Automobile's parent Zhejiang Geely Holding Group Co., which bought Volvo in 2010, has approached Saab's court-appointed administrator about a deal, the paper quoted the source as saying. Commenting on the report, Geely Automobile executive director Lawrence Ang said: "According to my understanding, we have no such plan." He said Geely was busy after taking over Volvo. Industry analyst Ian Fletcher at IHS Automotive said a tie-up would not make sense. "Volvo and Saab have, effectively, been fighting for the same space for years. I think ultimately, Volvo would welcome Saab's exit." He said Geely did not need extra capacity in Sweden and could easily do without Saab's technology. "I just really can't see any reason why they would get involved." Saab spokesman Eric Geers said: "Several companies are showing interest in Saab right now. We of course have a binding agreement with Pangda and Youngman." Saab expects Chinese authorities to make a ruling on the proposed partnerships with Pangda and Youngman on Oct. 14, Geers said. Saab has lurched from one crisis to another this year and shut down in April, unable to pay its suppliers who are owed more than 150 million euros. The company applied to the courts for creditor protection in August when it was unable to pay workers. Swedish Automobile, then known as Spyker, bought Saab from General Motors Co. in early 2010, just as it was emerging from another period of creditor protection. Swedish Automobile's sale of its Spyker sportscar arm to Russian investor Vladimir Antonov also fell through. It has now agreed to sell Spyker to a private equity firm.